Wirral continue winning run by narrowest of margins. For the game at Ilkley, there were again changes to the side following ROB PEARL’s injury last week with James Reeve coming back into the side at No8, joining Tom Parry and MATT DALTON in the back row. In the second row HAYDN LONG partnered Ryan Stead in the second row. Joe Murray returned at scrum half with Chris Crowley returning to full back. CHRIS SPEED was not available due to work commitments so the centre partnership was Sam Broadbent and James Annetts, Mark Williams returned to the left wing. The subs were DAN LIGHT, Paul Lewis and “Mr Versatile” Mike Warren. The pitch was in excellent condition and Wirral played towards the road with the benefit of a slight breeze. Wirral did not have too much of a warm up as a number of players were held up in the traffic on route. From the kick-off it was Wirral who soon put Ilkley under pressure and took the lead in the 3rd minute when a training ground move enabled Matt Loon to cross close to the posts after good work from Craig Harvey, the try was converted by James Annetts. The lead was increased to 10 points when JAMES slotted over a penalty from 32m out. Ilkley came into the game and Wirral did not help themselves when looking to play out of their 20m area instead of clearing the ball downfield. Ilkley turned down potential penalty opportunities as they went for line outs close to the Wirral line. An opportunity to score was missed when the Ilkley backs were brought back for a forward pass. On 25m Wirral again had the home side penned in their 20m area which led to James Annetts crossing the whitewash and touching down with tacklers hanging on, only for the referee to deem he has held up. On 29 minutes, Jack Yarker left the field with a dislocated shoulder but understands this may have been put back and was to spend his Saturday evening at Arrowe Park; he was replaced by DAN LIGHT. Wirral had the chance to score again with a 5m scrum but unfortunately this came to nought. Gradually Ilkley worked their way downfield aided by kick through which ricocheted off a Wirral player and only a good cover tackle by Mark Williams stopped the attack. On 38 minutes, MATT DALTON suffered an injury and was replaced by Paul Lewis. With Ilkley in possession the forwards mauled their way forward and were rewarded with a try through Pat Power in the last play before half time, the conversion was missed. 5-10. On 50 mins Wirral increased their lead with a 30m penalty from James Annetts, 5-13. Ilkley came back and a half break almost resulted in a try but the final pass was dropped. At this stage Wirral lost second row HAYDN LONG with an eye injury, he was replaced by Mike Warren and meant that Wirral did not have any substitute options remaining. 61 minutes saw Charlie Ramsay reduce the arrears to 8-13 with a penalty. Wirral restored their 8 point lead with a 3rd penalty from James Annetts, well taken from 36m against the wind. From the kick off we dropped the ball which immediately put Wirral under pressure and whilst the tackling was effective, Ilkley made progress and one missed tackle enabled the home side flanker, Joe Lawes to score close to the posts and duly converted by Ramsey to leave the score 15-16. With 8 minutes to go. Ilkley immediately on the attack and a high tackle 46m out was deemed too far out for Ilkley to kick for goal so they opted for a kick to the corner flag. Wirral managed to hold out until the ball came free and long kick (50m) downfield relieved the pressure but back came Ilkley but they were halted in mid-field, the ball was knocked forward and the game was over. Given the injuries incurred during this game and last week, it was a relieved Coach and team who could enjoy this result, which keeps Wirral in 5th place and has enabled them to have an 8 point lead over the 6th placed team. 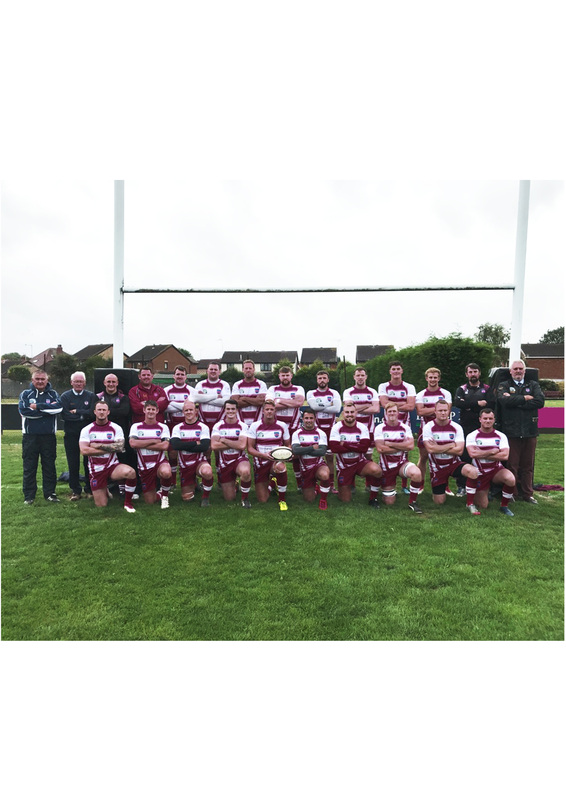 Next week, Wirral play Birkenhead Park in the semi-final of the Cheshire Vase at Clatterbridge and based on today’s game there will be a number of changes to any side selected by Wirral.